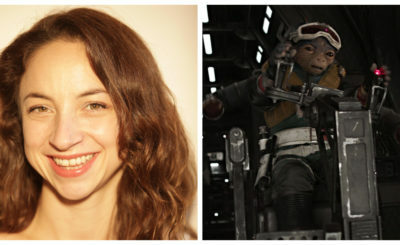 Johnamarie Macias is the founder of The Wookie Gunner and a co-host on the Geeky Bubble podcast. 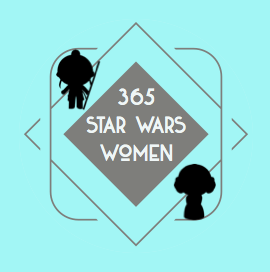 She answered a few questions via email for 365 Days of Star Wars Women for this interview. I was introduced to Star Wars at a young age. My earliest memory was seeing A New Hope as a Sunday afternoon movie on the WB Channel (now known as The CW Network). Every Sunday, they would play old movies, like Gone with the Wind and The Sound of Music. A New Hope was one of those old movies. I remember sitting in front of the television and watching the trash compactor scene. I also recall my thoughts at the time and thinking how Luke looked so handsome with his hair all wet and slicked back! 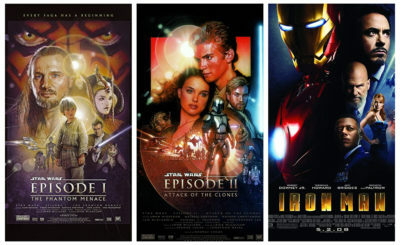 Star Wars, for the most part, played a smaller role in my childhood compared to other shows and movies. I was more dedicated to things like The Little Mermaid, Disney Afternoon shows, and Stargate SG-1. I did, however, play often with Star Wars: Rogue Squadron and Star Wars Episode I: Racer on Nintendo 64 (the best console, by the way). My favorite racer was Neva Kee. I took pride in beating my brother and winning first place with that character every time. Something else that really brought me back into Star Wars in my early teens was Queen Amidala. I used to play with the Queen Amidala Paper Doll Book. I would choose her outfits and play out a few scenes in my head. I thought she was the coolest character, so I have to thank the prequels for bringing me back into the story and reminding me of why I love that galaxy so much. I grew up watching a lot of cartoons, like DuckTales, Talespin, Rescue Rangers, Darkwing Duck, and Gargoyles. Becoming more attached to the animated side of Star Wars was only natural for me, so it’s no surprise my favorite Star Wars stories and characters come from the animated content. From what we’ve seen, my absolute favorites are Star Wars Rebels and LEGO Star Wars: The Freemaker Adventures. To me, both of them capture what I love most about Star Wars more consistently and more beautifully than anything else in the franchise. In terms of favorite characters, I’ve had several over the years, but my top five are Ezra Bridger, Kanan Jarrus, Rowan Freemaker, Ahsoka Tano, and Captain Rex. They all have similar qualities. They want to do good and they are willing to sacrifice themselves in the process. Those are the characters I admire the most and keep close to my heart. I would love to be dropped into Mira and Ephraim Bridger’s lives on Lothal. We didn’t get to learn much about them in the series, but I would love to be their closest friend, especially with a baby boy Ezra on the way. That said, if I was dropped in with the knowledge of what happens to them, I would cave in and tell them about their future. It would change the timeline drastically, so it’s probably best not to send me back in time! Instead, drop me in with Ahsoka and Sabine as they’re about to embark on their journey to find Ezra. It’d be exciting to go on a space road trip with those two awesome ladies. I’d bring the music, the jokes, and the snacks. It’d be heaps of fun! And when we finally find Ezra, I’d break out into a run and hug him first. He’d say something like “Who is this?” But I’d keep hugging him longer than what is socially acceptable. That’d be a great Star Wars story! What’s the first Star Wars animated show that really captured your interest and why do you think you’re drawn to animated stories (both Star Wars and non-Star Wars)? Out of the television programs I’m currently watching, I would say 75% are animated. I also watch more animated movies than live-action movies. I’ve always been drawn to animated content because in my opinion, they tend to illustrate journeys and character growth better than live-action. Also, a great deal of animated stories have inspired me and sparked my imagination throughout life. They just naturally resonate better with me. Star Wars: The Clone Wars captured my attention back in 2008 because it introduced Ahsoka Tano. I was one of the rare few who loved her from the beginning. She arrived during a difficult time in my life. I had just graduated from college, and I was worried about where my life was going next. When things got tough for her, though, she found a way to keep going. I was inspired by that. And while I have a deep love for The Clone Wars because it was my first piece of Star Wars animation, the show that had a greater impact on me was Star Wars Rebels. It’s hard to describe how much I love that show and what it means to me. It’s a combination of the characters, the story, the lessons, the music, the design, and the people who worked on it. Some things in life are fleeting and forgettable, but Rebels will always have a permanent place in my heart as an amazing animated story that helped broaden my own imagination. Are there any Star Wars characters that so far have only appeared in animation that you think would work the best in a live action film or TV show? I know everyone is dying to see Ahsoka in live-action. I also know I have advocated for that at one point or another, but I think I finally settled on not wanting to see any of my beloved animated characters in live-action. They started out as animated characters and their stories should primarily continue that way. I still don’t know how I feel about Saw Gerrera’s story and how it came to an end in Rogue One: A Star Wars Story. For now, I prefer to have the animated characters stay animated and continue to be handled by the people who created them. I am a firm believer that the general audience needs to get over this notion that cartoons are just for kids or that animation is a lesser form of storytelling. It’s disappointing to see some adults embrace that mentality and make fun of those who appreciate animated stories. All that said, I am curious to know what Ezra would look like in live-action. It would have to be handled very carefully because Ezra isn’t a White character. I mean, look at his family photo with Mira and Ephraim Bridger to get the idea. It would also require someone like Dave Filoni to be involved in some of the story elements because the last thing I want is for Ezra’s character to be misinterpreted. It’s a fun thing to think about and play around with fan-casting, but at the end of the day, I prefer to see animated characters in the way they started. Why did you start the website The Wookiee Gunner and for people who aren’t familiar with it can you describe what kinds of content Star Wars fans can find there? Do you have any favorite pieces from TWG over the years? 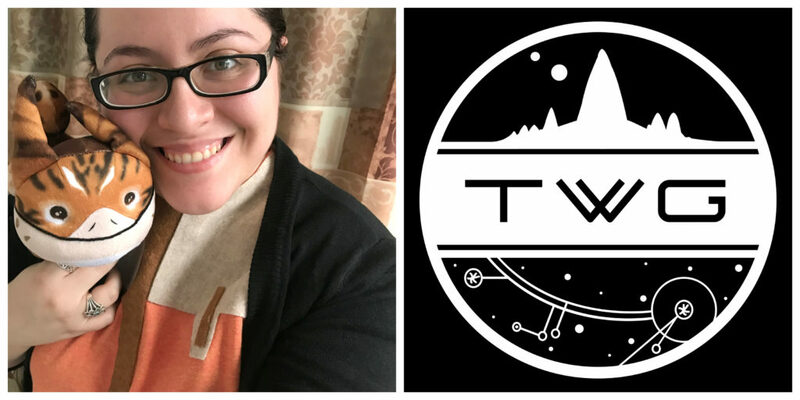 I started TWG in 2013 as a way to express my love of Star Wars. I was originally writing my thoughts and theories on a Tumblr blog before I decided to move that hobby over to a different platform. At the beginning, I was writing about all kinds of Star Wars, like the movies, comic books, and novels. I started feeling overwhelmed with the content, especially since I also have a day job to worry about. As a result, I started narrowing down my focus to the aspects of Star Wars I truly care about. Slowly but surely, it became a website primarily dedicated to the animated stories, like Star Wars: The Clone Wars, Star Wars Rebels, LEGO Star Wars: The Freemaker Adventures, Forces of Destiny, and Star Wars Resistance. It’s so difficult to choose favorite pieces, but some that come to mind include the theories article I wrote based on Dave Filoni’s sketches. I remember that being my most popular article at the time, and it’s hard to believe that was only 4 years ago. I love the interview I put together for the fan-made Star Wars Rebels poster when the series was coming to an end. I also had the opportunity to be at a roundtable interview with Dave Filoni, where I asked him about the sketches he made for Topps. He was also in an episode of the Geeky Bubble (formerly Rebels Chat) with me and my mom. She and I also spoke with Sam Witwer, where we laughed our heads off. Last but not least, I also wrote about my love for Ezra and what I see in that character. Can you share how you and your mom decided to start the podcast Rebels Chat (not Geeky Bubble)? What kinds of content are you hoping the re-branded podcast will cover? Since then, we’ve talked about the entire Rebels series as well as the first 4 seasons of Star Wars: The Clone Wars. Since I also wanted to include Star Wars Resistance, I felt the need to come up with a new name that reflected the growing variety of things we discuss. That’s how Geeky Bubble came about. At some point down the line, I’d love to create a new segment under the Geeky Bubble name and discuss some of the other geeky content I watch, like The Dragon Prince, Voltron, Rapunzel’s Tangled Adventure, and so much more. We’ll have to wait and see! Your love of Ezra Bridger from Star Wars Rebels is well-known to anyone who follows you on Twitter. I’m curious if you loved this character from the first episode of Rebels or if you were drawn to this character over time. Do you have a favorite Ezra episode of Rebels? I’d have to go back and listen to my early podcast episodes, but I think my favorite character at the time was Sabine because of her Mandalorian heritage. Over time, I became more drawn to Ezra. I began to notice how we shared similar personality traits, the biggest one being how we always like to see the good in people first. It’s a strength and a weakness. There were also things he did that I had either done myself or imagined myself doing because of those similarities. Before I knew it, I fell pretty hard for that character and became emotionally attached. There were times when I legitimately cried because of the audience’s negative response toward him. I didn’t understand why people were so harsh at someone so young who was still in the process of growing. 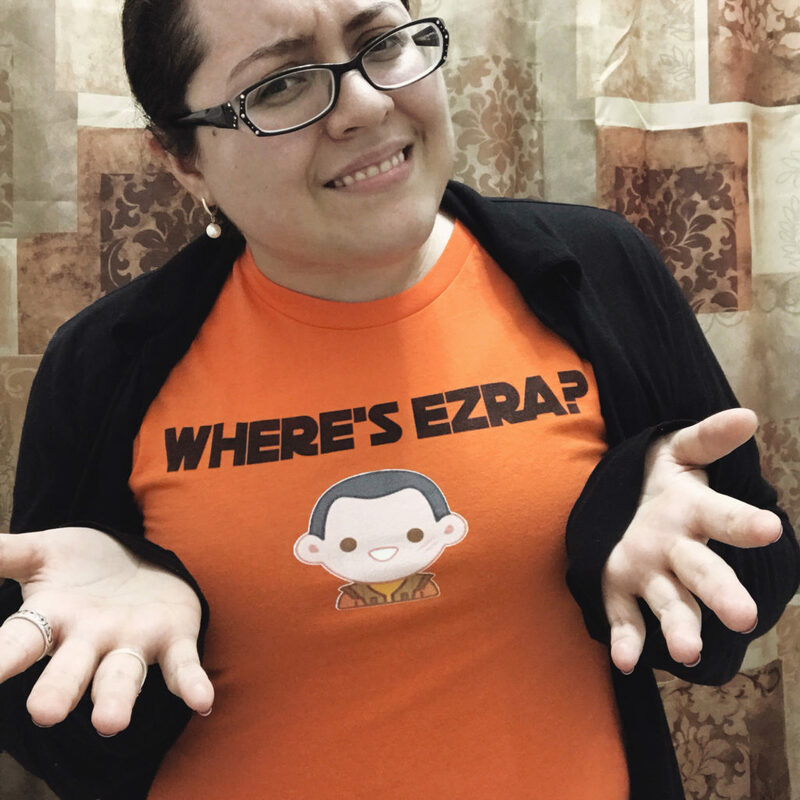 Sometimes, I still don’t understand, but I continue to wave my Ezra flag proudly. In the end, he proved how he is a good person through and through with the best intentions. He is someone who’s lost so much, but he doesn’t let that loss consume him. He is someone who is willing to sacrifice himself because of the love of his friends and family. That, to me, is the mark of a true hero and a true Jedi. Anyway, some of my favorite Ezra-centered episodes include “Legacy,” “The Call,” “Twin Suns,” “A World Between Worlds,” and “Family Reunion – And Farewell.” They’re episodes that perfectly demonstrate Ezra’s loss, his desire to help, and his willingness to learn and grow. You were invited to moderate a discussion about Rebels at Lucasfilm including interviewing Dave Filoni? What did that experience mean to you as a fan of the series and what were some of the highlights for you? 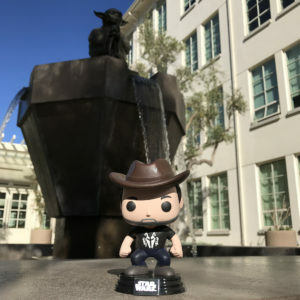 I became a fan of the animated shows in 2008, so to pop up at Lucasfilm 10 years later in 2018 to host a Q&A with Dave Filoni—the man who helped start it all—I was in shock. It felt like I was dreaming the entire time. It was a whirlwind of an experience because of how quickly it all happened, but it’s one of the memories I’ll treasure most. And to think I had questioned whether I should do it or not due to how nervous I got, but I realized life is too short to say no to exciting opportunities. Plus, I’m a firm believer in challenging myself and trying something new for a change. If I lived closer, I’d ask to do it again! One of my favorite highlights from that experience was giving Dave a custom Funko Pop! figure of himself. At Star Wars Celebration Orlando, he joked around and said he didn’t have a figure of himself, so I took that and ran with it. He loved it, and I’m so happy I got to give it to him during such a momentous occasion. Readers can catch a glimpse of the event in this episode of The Star Wars Show. What are you hoping for with the new Star Wars animated show Resistance? Can you share any details from the press conference you attended at the end of September? When it comes to Star Wars Resistance, I just want to have fun with it. Some people can be so serious with their Star Wars, which is okay because I’m someone who likes to analyze and over-analyze and find the deeper meaning in things. Sometimes, though, I just want to sit back and enjoy a fun-filled adventure. Star Wars Resistance press day was super exciting because I got to meet the executive producers and some of the cast members. I wanted to come up with questions that didn’t sound generic. Thankfully, we had access to the first two episodes beforehand, so I came up with a crazy amount of questions. I asked about the timeline of the series and Brandon Auman mentioned how it worked best to keep it close to The Force Awakens. In that same answer, he also mentioned the show would overlap with the movie, so it’ll be interesting to see how that plays out in the series. I also asked Christopher Sean what advice Leia would give Kaz about the relationship with his father, since they are both children of senators and come from affluent backgrounds. He gave me such a wonderful answer, but it basically boils down to just follow your heart. The entire experience lasted only a few hours, but it was totally worth it. I had flown in early that morning and flew back that same evening. When I say I love Star Wars animation and would go anywhere for it, I mean it! For anyone who wants to read more about it, here’s a write-up over at my website. You recently started contributing to the site Culturess. What kinds of content are you writing for this site? 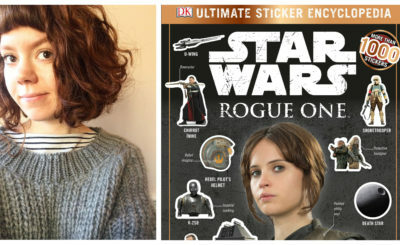 I love writing about Star Wars, but sometimes, I want to write about geeky stuff in general. I’m a big fan of other cartoons, like DuckTales, Rapunzel’s Tangled Adventure, Voltron, and The Dragon Prince. Culturess provides me with the space to focus on that kind of content. Currently, though, I’ve been writing about Star Wars Resistance, but I hope to contribute more articles that branch outside of the galaxy far, far away. I know I go to your twitter account a lot for convention coverage. Of all the conventions you have attended do you have any favorites for Star Wars content? Or tips/suggestions for Star Wars fans new to attending these types of conventions? When it comes to Star Wars content, Star Wars Celebration is my absolute favorite because I know I’ll be able to find panels, merchandise, and cosplays pertaining to the animated shows. San Diego Comic-Con and New York Comic Con come next in my list of favorite conventions, but there isn’t a big Star Wars animation presence at either con. In situations like that, I tend to go around Artist Alley and see what character art I can find as well as any artists who might have worked on a project close to the animated shows. For example, at this year’s NYCC, I found Pepe Larraz (Star Wars: Kanan) in Artist Alley and asked to interview him. 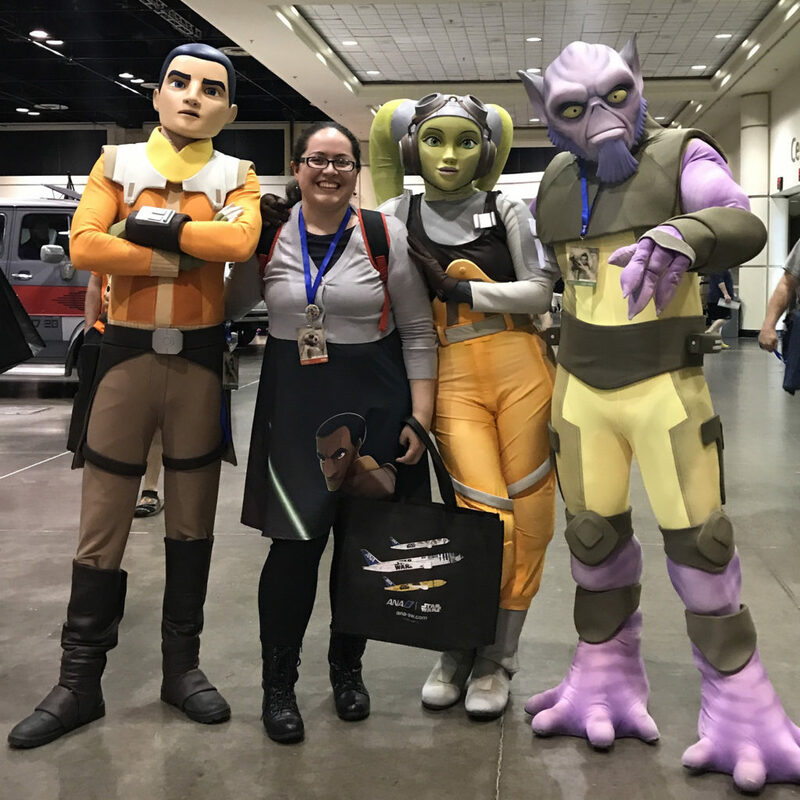 So if you’re ever at a con where the Lucasfilm presence is small or missing, find other connections and make the most of them. A few tips I recommend to Star Wars fans in the blogging or podcasting community include bringing a monopod. If you’re looking to record some panel footage, it helps to set up your phone on a monopod to keep the video still and to not tire your arms. I also recommend using a basic recorder for capturing panel audio or interviews, and if you don’t have that, use your phone! In both situations, though, I recommend bringing a portable charger to keep your phone alive throughout the day. For fans who are just looking to have fun at these types of conventions, a portable charger is still important. I also recommend following your favorite actors or brands on Twitter. Sometimes, there’ll be unexpected signings or giveaways, so following them on social media will keep you up-to-date. Also, I’ve found that it’s best to visit the show floor closer to closing hours. Most people will be departing by then, so the floor will be less crowded, there’ll be more photo opportunities, and you might even get to pick up a few exclusives without having to stand in the queue for a crazy long time. Either way, have fun, take lots of photos, and stay hydrated. If you could sit down with three people at Lucasfilm to talk about the future of Star Wars who would you want to chat with and what would you want to tell them? I have a long list of people, but if I had to choose three, it would be Dave Filoni, Kiri Hart, and Kathleen Kennedy. (I already feel nervous about this chat, and it’s not even real!) Most of the conversation would be me asking them questions about the future of Star Wars animation because that is the area I’m interested in. A “Where is Ezra?” question would definitely be in there. I’d also ask about the live-action projects that are currently in production. We would also talk about random things outside of Star Wars. The last time I had a brief chat with Dave, we were talking about preferred airlines. Of all the things to talk about, that’s the topic that came up. So yeah, I’ll ask them about their favorite ice cream flavors and let the conversation flow from there! 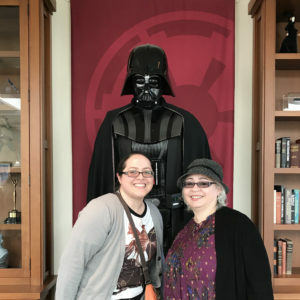 Johnamarie and her mom Maria at Lucasfilm. Currently, my website is exclusively debuting new Star Wars Authentics photos of each new episode of Star Wars Resistance every week. You can read more about that here. I’m also creating my own original story. It’s been a long process, but it’s slowly coming together. There are moments when inspiration just slaps me in the face and I feel encouraged to write. There are other times when no words come to me. The most important thing is I have the ship name for my two main characters, so having that detail makes me happy! I’m also looking into creating my own enamel pins. It’s an intimidating process because anything that involves money is always stressful, but I’m an avid pin collector and it’d be great to put my own stuff out there. The following aren’t upcoming projects, but I will be going to Star Wars Celebration Chicago and D23 Expo next year. I hope to combine D23 with a visit to Galaxy’s Edge in Disneyland. As for any other upcoming projects, the opportunities that have come my way have popped up randomly. While I find comfort in planning, I also find I like to play things by ear and see where the Force takes me.